Holiday Gift Guide 2018 Medical Student Edition — The Brunette Doc. The Holiday season has just began and I can’t wait to fly back home to spend some time with my family after an intense semester abroad! I still can’t believe that we’re almost in December, and that I haven’t started preparing my gifts yet! Am I the only one?! So, if there’s a future doc around you in your life, or you simply want to treat yourself this Christmas, my holiday gift guide will be a great source of inspiration! Let’s get started! This a staple of every doctor, no matter which specialty you’re going for. So if you don’t (already) own a stethoscope, I highly suggest you invest in a good one, such as this 3M™ Littmann® Classic III™ Monitoring Stethoscope (great for beginners). I think there is no need to give more reasons why Littmann is the gold reference when it comes to stethoscopes. Their website also displays lots of tutorials on how to optimize your practice with it. And…they come in a variety of colors, so I’m sure you’ll find one that matches your scrubs! 3M™ Littmann® Classic III™ Monitoring Stethoscope, Champagne - Finish Chestpiece, Black Tube, Smoke Stem and Headset, 27 inch, 5861. Starting from 96$. #2. A BUNCH of colorful pens. #3. a Coffee or Tea Assortment for heavy drinkers during exam session. Well, exam session is often (always?) tough, and just thinking about the fact that you’ll spend it seated at your desk, or in the library, isn’t the most pleasant memory to recall. BUT! There’s a way to make it a little bit more bearable, and that’s by having a good and tasty beverage waiting to be sipped on during your study session! I think most of us have a tea addict or a coffee amateur in our relatives and friends, so please them with a lovely assortment this Christmas to let them know you care about them staying hydrating! Here are some lovely tea bags sets from Damman Frères, one of my favorite brands! The flavors are wonderful, and there’s no way you can make a wrong choice while choosing from their huge collection! #4. A wallet that fits in a scrubs-sized pocket. While being in the hospital, all your belongings should fit in your pockets, and let me tell you…not much can be carried, so you better choose your items wisely! Phone, pens, a little notebook and your wallet is pretty much all you can take with you. I’m such a big fan of long, wide wallets, that can fits all your cards, money, etc… but they become pretty heavy as you keep stuffing them with unnecessary things (like 10 receipts from your local coffee shop and thousands of coins 🙃. So, I found the perfect wallet for you if you’re also struggling to find one that could fit in your scrubs. It’s this gorgeous leather square-shaped wallet from Fossil, and the good part about it is that you can emboss it for free; which could be a great and useful gift, with a little personal touch. Obviously, there are also available for men! Med Students spend most of their times seated, and studying (sometimes seated and procrastinating too), and I cannot stress enough the importance of a good study environment. I’m referring to the fact that your posture should be adequate, to avoid any back pain on the long-term, and your sight plays a significant role in this! If you’re screen isn’t facing your eyes, you’ll tend to adjust your posture according to it, causing you to slouch on your chair, and eventually causing stiffness in your neck. I have been using a laptop stand since I’ve started uni, and it makes such a big difference in the way you stand at your desk. On the long run, this is very important for your health, and I strongly believe that it is a useful gift for a (medical) student! I have found this one on Amazon, allowing your laptop to cool down easily due to its ergonomic shape, but there are also more affordable options, such as this one from Ikea. BRÄDALaptop support, black. 6,50 €. #6. A new pair of Scrubs. Once you graduate and become a doctor, you won’t have to deal with the burden of choosing what to wear anymore! Indeed, scrubs and lab coat are pretty much the only pieces we get to wear for work, so having a few clean pairs of scrubs in stock is a must! But wait a minute, you might have to wear scrubs all week long, but that does not mean they cannot be cute! Depending on the Hospital’s policy, you might have to get appropriated colors, and you’re maybe not allowed to go for that deep burgundy scrubs 🙄 (if you follow me on @instagram, you’ll know that I own such a color!). Anyway, as I was doing some research, I found these very cute scrubs on wearfigs.com. And guess what…they have oversized pockets! That also means it’s perfect for your huge wallet! Given the fact that they look incredible, I’m thinking that you’ll probably struggle with finding out which COLOR you want to pick in the morning if you purchase them all! #7. Bentos and Thermos, to keep your food cozy. Ok, so let’s be honest, there are (many) times where we’re about to finish a lab, and the only thing that I’m looking forward to is my lunch. You’re tired, moody, and what could make you feel better is a warm, homemade dish and a sip at that delicious tea you’ve just received for Christmas! I think a hot drink can make any reading much more productive (really…), and help you to stay active! Believe it or not, but while studying, keeping a cup of tea or coffee next to you, and alternating a sip of it while reading a couple of paragraphs, is a kind of “mini-pomodoro” technique for your brain, allowing you to never miss an important line from your course! Thus, here are few options of thermos bottles and lunch boxes that could be a great gift this Christmas! Plus, exam session is coming soon, so having all these essentials ready will get you prepared for those harsh long days in the library! No more excuses for meal prep! #8. Hand Cream and Gentle Hand Soap. Another medstudent, and generally speaking, healthcare providers essentials is for sure a hand sanitizer. Now, how many times did you end up having your hands completely dried out because of rubbing your hands thousands of times with it? And I don’t know how you feel about it, but when the cold season is around, I found myself struggling with painful cracks on my hands, and applying layers of moisturizers, doesn’t seem to help much. 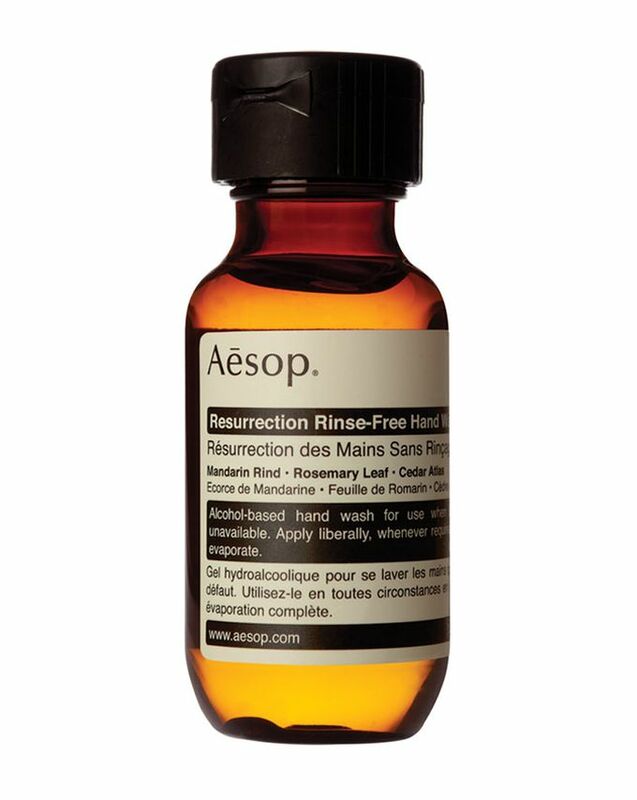 So, if you have some fragile colleagues around you, get them a bottle of this AESOP Resurrection Rinse-Free Hand Wash which is very gentle on the skin and will spare them from getting deeper splits. Obviously, I’m aware that most hospitals impose you to use this sanitizing gels dispensed by them, for hygienic purposes, but using a gentler version for less important errands will obviously increase the look of your hands on the long run! Moreover, moisturizing is the key, so I have found for you a couple of hand creams that won’t let your hands greasy, but still do the job. You can shop them all on Cultbeauty.com! As you go further in your medical studies, you’ll probably want to have a more polished and professional appearance. Having a practical work handbag will help you to achieve this, without actually neglecting the convenient aspect. What’s important for a work handbag? Well, first of all you should be able to fit all your study belongings (notebook, laptop, pencil cases, planner…) as well as your work gear (scrubs, lab coat…). It’s not always easy to find something that can fit it all, especially if you don’t want to go for a massive backpack, but a more feminine sleek look. Personally, I prefer Totes with a rectangular shaped-base, so my courses can fit in it. 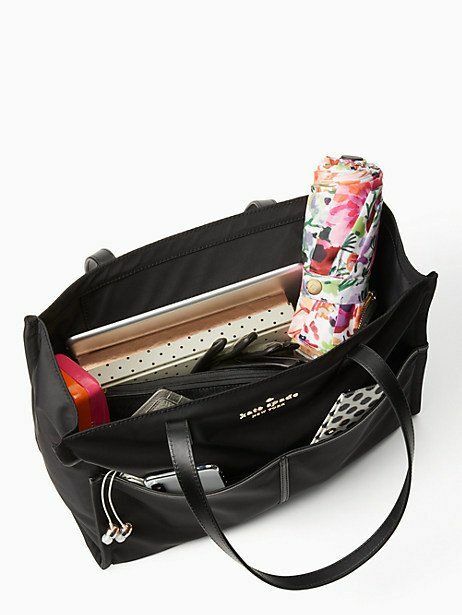 Additional pocket are a must, you don’t want to go for a bag that has only a single, large pocket (the main one), where all your stuff end up swinging everywhere as you go from one class to another. Here are a couple of bags that could totally help you fit all essentials, while still looking cute! ﻿#10. A Portable Phone Charger. This one isn’t specifically a med student staple, but it still is very useful to have with you! Sometimes you don’t have time to sit down and wait for your phone to charge, or if you do (during a lecture for example), then, there’s no plug near by…And this when this little guy becomes handy. It’s easy to carry, charge your phone instantly, and help you to survive throughout the day. Here is my selection from, all available on amazon.com. I hope this Med Student inspired Holiday Gift Guide will be helpful and that it will make your Christmas shopping a little bit less hectic! Tell me in the comments which one was your favorite piece!